How can I export all of the highlights, notes, etc I've made on some pages? 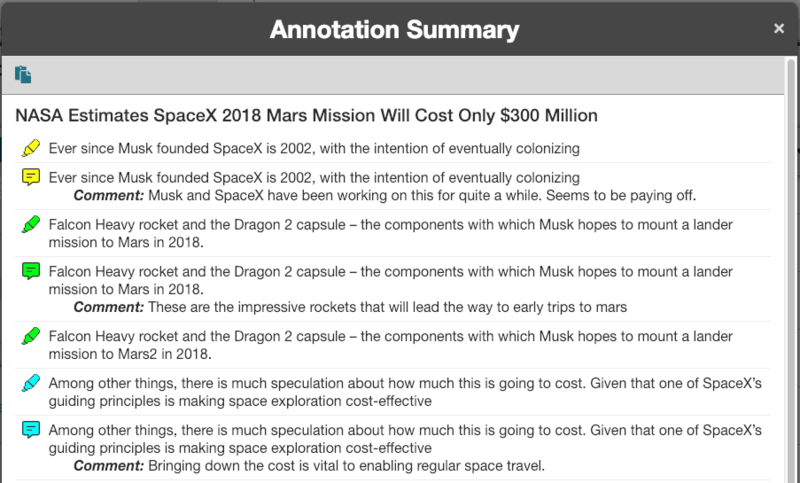 Edu Pro plan users can export annotations from sources in one of their Libraries by selecting the sources and then clicking the "Create Summary" button. This will provide you the text of all your annotations, as well as any comments you wrote on the source. The summary can be printed out directly, or copy and pasted into Google or Word docs.